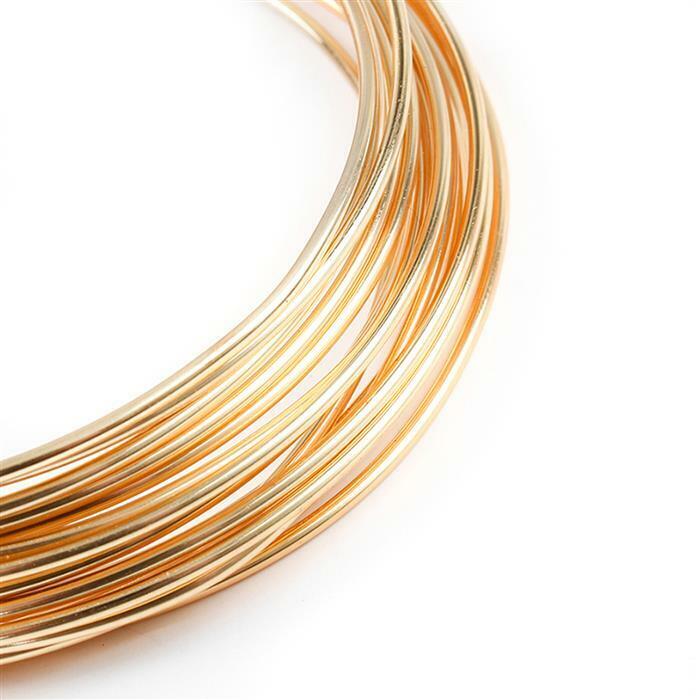 This 4 metre reel of 1mm Champagne Gold Coloured Silver Plated Copper Wire is composed of a copper core covered by concentric silver plating. 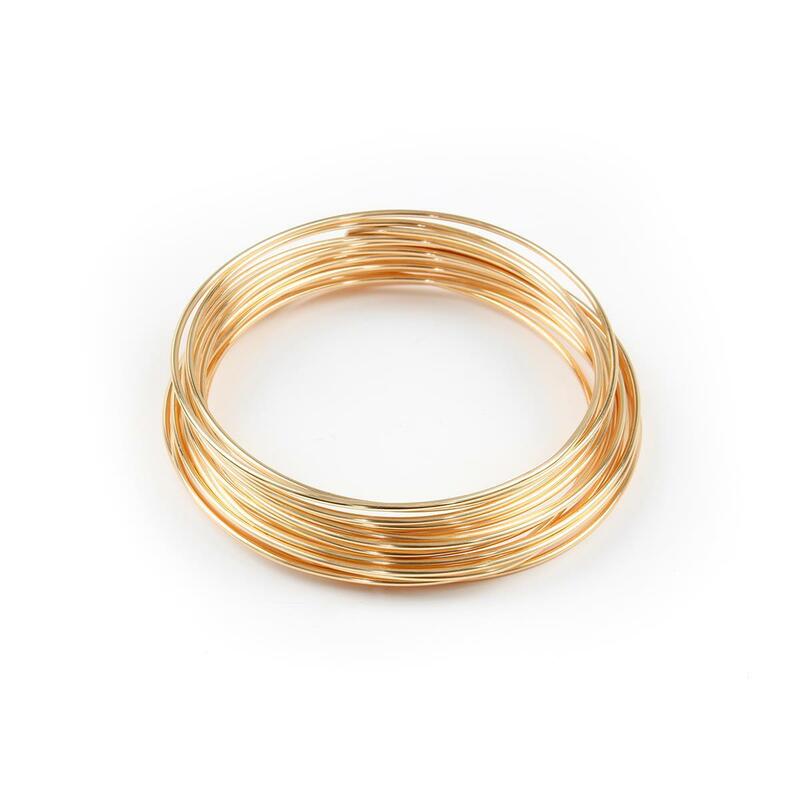 The warm, radiant soft gold coating will enhance your designs and provide resistance from tarnishing, chipping and peeling. This thick wire is perfect for binding and twisting and can be formed easily using jewellery pliers and tools to make frameworks for more complex pieces. You can use this gauge to wrap heavier beads with larger drill-holes, make ring shanks, medium clasps, large jump rings and even chainmaille. Like the fact now that we can buy wire when we need it. Superior Quality and Beautiful too!!! Excellent product great for topping up my stash. Thank you for your recent feedback and thank you for taking the time to talk to me today. I am pleased that we got things resolved. If you would like to discuss this further, please do not hesitate to contact us on 0800 6444 655 and press option 2 for Customer Service. Safely stowed in my stash.